NOW PAC joins President Obama, Vice President Biden, Secretary Clinton and Senator Elizabeth Warren in our endorsement of Representative Tammy Duckworth for U.S. Senate. We are proud to support a feminist, mother and American war hero to unseat Republican incumbent Mark Kirk for President Obama’s Illinois seat. Rep. Duckworth has been a reliable proponent for women’s and veterans’ rights throughout her political career, a role she will continue as Illinois’ U.S. Senator. A helicopter pilot in the U.S. Army, Duckworth lost both legs and part of her arm serving this country in Iraq. The Purple Heart she received represents her unprecedented strength, perseverance, and dedication to freedom. Upon her return to American soil, Rep. Duckworth began her fight for veterans’ wellbeing. She declined a military medical retirement to continue serving her country as a Lieutenant Colonel with the Army National Guard and implemented programs for the treatment of PTSD as the Director of Illinois Department of Veterans Affairs. Supports DREAM Act and a pathway to citizenship. 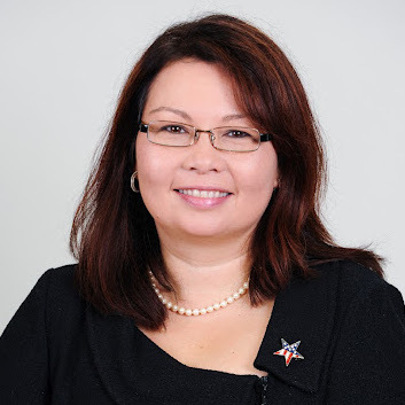 In 2009, President Obama nominated Representative Duckworth to Assistant Secretary of U.S. Department of Veteran Affairs, where she was a leader in initiatives for female veterans and, according to Obama, “served with purpose and distinction.” She held the position until 2011, when she decided to bring her expertise and perspective to Congress. Although presidential endorsements for Senate races are rare, President Obama has been vocal in his support of Rep. Duckworth’s campaign. He has officially conveyed his pride in supporting her run for his former U.S. Senate seat, as “few people fight as passionately for our veterans as Tammy.” NOW PAC agrees, and urges the people of Illinois to vote Tammy Duckworth for U.S. Senate.